Friuli is home to some of the most spectacular hillside vineyards in all of Europe. While the best Friulian wines are stunning, the full potential of these sites remains largely untapped. Friuli is one of the most extraordinary viticultural regions in the world. The snaking, hillside vineyards that are the backbone of the Collio and form the border with Slovenia are home to a number of fabulous terroirs. These sites are also drenched in history, for it is here that many battles were fought during World War I. But Friuli is so much more than just the Collio. Isonzo, the Colli Orientali and the Carso are each capable of producing highly distinctive, world-class wines. In the Grave we tend to find much more commercial offerings, but there is a place for them too – when they are well made. Beyond just its oenological riches, Friuli is steeped in history and culture. The region is full of influences from neighboring Austria and Slovenia, which border Friuli to the north and east respectively. Udine is a gorgeous mid-size town with a vibrant university scene. Trieste, a bustling seaside city and a vibrant center of commerce, is home to Generali, Italy’s largest insurer. Monfalcone is famous for its shipbuilding facilities. Influences from the Venetian Empire can be seen in the small winding streets and piazzas of Grado, a small, quaint, seaside fishing village. The local cuisine is replete with a fabulous repertoire of distinct local dishes that draw from both the region’s Austro-Hungarian roots and the bounty of the nearby Adriatic. In other words, most wine producing regions in the world would kill to have this much raw potential. The question, therefore, is; Why are Friulian wines so often totally unimpressive? To be sure, the current state of economic affairs in Italy is dismal, to put it kindly, so it is understandable on some level that growers are fearful of making investments in the future, but the issues are much deeper than just the economy. The Friulians are rightly well known for their work ethic and ability to persevere through tough times. My fear is that much of that energy is misplaced in today’s world. 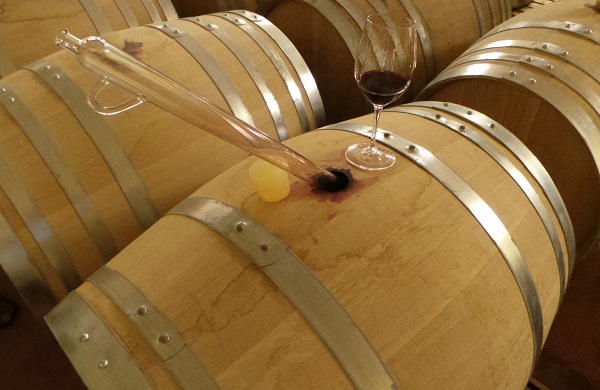 As someone who has the privilege of tasting in the finest cellars in Burgundy, California and Italy, I am convinced the best Friulian wines are world-class. There just aren’t enough of them. The sad truth is that most Friulian wines are uninspired, easy going offerings that trade off the value of the region and its most famous appellation, the Collio. That landscape is brightened by a handful or two of small, artisan growers who in this context appear to be living on another planet entirely. Their wines embody the values of great wine everywhere; namely a maniacal attention in the vineyards and an uncompromising approach to overall quality that transcends stylistic and philosophical choices. These are the growers who are featured here. 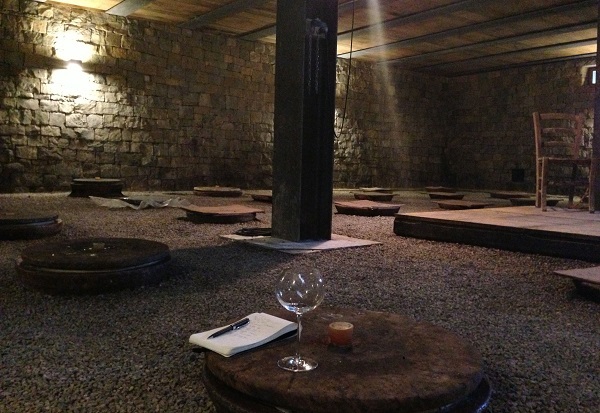 Tasting wines from barrel in the Kante cellars. Note the exposed rock in the background. Intellectual Curiosity – Where Is It? I spend about six months on the road every year. 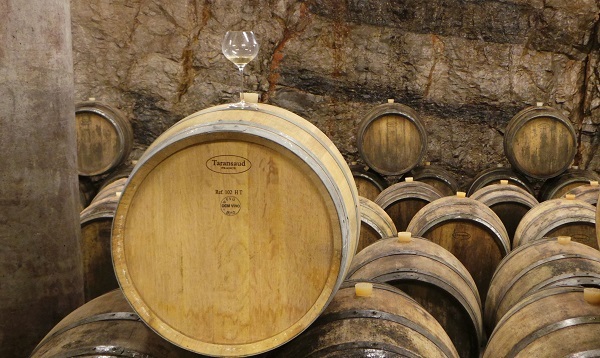 In virtually every region I visit, producers ask me about the wines of other regions. In many regions, Italians are obsessed with Burgundy and Champagne. In Napa Valley, a number of producers are intrigued with Piedmont. Another subject of deep interest and passion is Cabernet Franc, which thrives in some parts of the valley just as it does (albeit differently) on the Tuscan coast. A handful of Burgundians routinely quiz me on traditionally made Barolo and Barbaresco, while three families are now pursuing projects in Oregon. California has long attracted French and Italian winemakers. Champagne producers love spending time in Italy, which is a huge market for most houses, large and small alike. What about Friuli? Well, the truth is Friulian growers rarely display the same type of intellectual curiosity about the world’s great wines I see elsewhere on a regular basis. The simple truth is that Friuli remains one of the most insular, closed wine-producing regions in the world. And, with a few exceptions, the wines aren’t anywhere near as outstanding as growers would like to think they are. That much is obvious to anyone who has spent a serious amount of time in Friuli and/or tastes the wines within a global context. The silver lining in this cloud is that Friuli is home to a dazzling range of fabulous terroirs just waiting to show the world their true potential. Over the last decade I have spent a lot of time here. There is so much to see and so much to learn. The Collio is the most famous district in Friuli, but it alone is incredibly diverse, starting with the hills in Villanova di Farra, which lies on the border with Isonzo, through Capriva, Cormons, Ruttars and then Dolegna. A complex mosaic of terroirs and microclimates, the Collio could itself provide a lifetime’s worth of study. Isonzo is mostly made of flat terrains that in the right hands can produce fabulous wines. The Colli Orientali straddles Udine and is generally a warmer zone than the appellations that surround Gorizia. 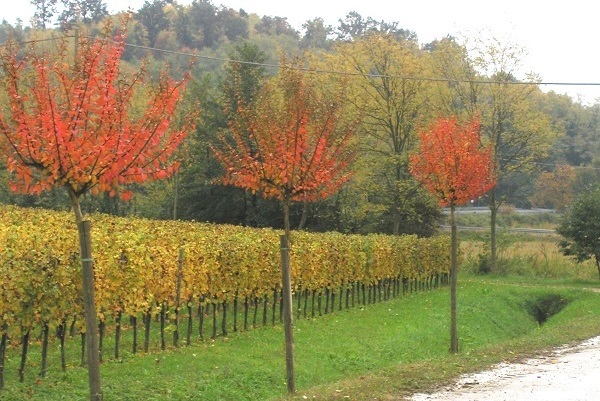 The backroads of Buttrio and Cividale, among other villages, contain a rich heritage of vineyards that encompass everything from old-vine, terraced sites to more modern, tightly-spaced plantings. All the way over on the other side of the region, the Carso mountains above Trieste are home to poor, rocky soils that push viticulture to the extreme. Some of Friuli’s most captivating wines emerge from these dramatic sites. The sheer diversity and potential of Friuli’s various districts is simply breathtaking. Late on Saturday night, July 23, I was awakened by the loudest natural sound I have ever heard. A series of rapid-fire explosions was ringing off the roof. Then I realized what that sound was. Hail. The most violent hail I had ever experienced. And it didn’t stop. The time passed, about 30 minutes, before it was all said and done. The next morning it looked like bombs had gone off. The vines were shredded to bits and pieces. Original estimates for damage were on the order of 110%, which means a total loss of the crop, plus damage to the following year’s harvest. The hardest hit zones were parts of Isonzo, Capriva, Cormons and Dolegna, an unusually broad swath of damage that spared some spots in between. Not surprisingly, the price of contracted grapes and bulk wine immediately shot through the roof. As I wandered throughout the vineyards in the days that followed one thing became painfully clear beyond the obvious damage; most of the vines were carrying too much fruit. It was during that time that I saw with my own eyes why so many Friulian wines are so average. Once the leaves were stripped away, it was all there to see. 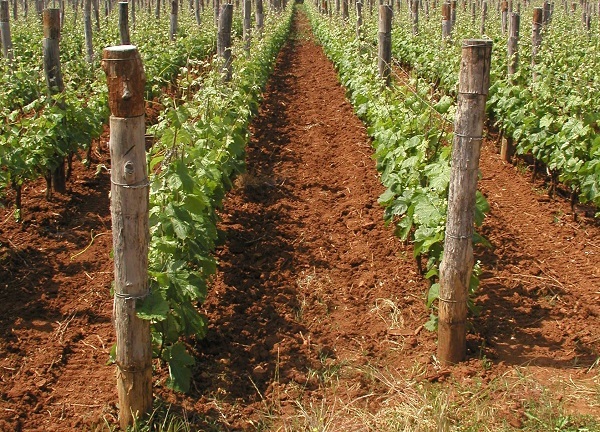 Yields are simply too high for the production of world-class wines. I don’t know why I was so surprised, given that frugality is such a central part of the Friulian mindset, but I was. These vineyards are capable of so much more…if only growers had the courage and vision to unleash their true potential. Overall, the 2011 whites – especially those of the Collio and parts of Isonzo – are diluted, watery wines of no real distinction. There are a few exceptions, but they are like oases in a desert, very much the exceptions and not the rule. 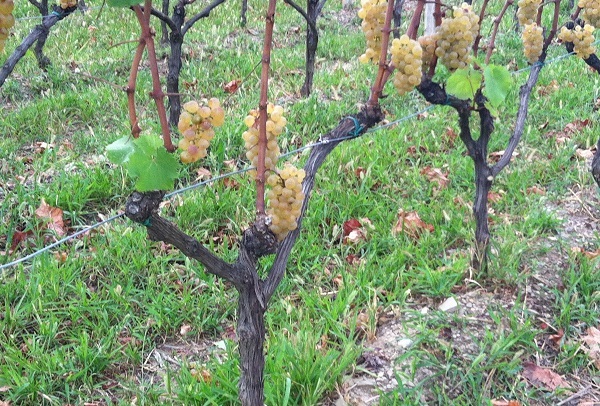 To be sure, 2011 had been a challenging growing season until the hailstorm. The very warm spring and early flowering weren’t the best of starts for white varieties, but things only got worse as the year progressed. Things are decidedly better in the Colli Orientali and Carso, two regions where the wines have warm-weather characteristics, but no real elements of shock. Overall, the warm, early growing season was more favorable for red grapes than for whites. Most of the wines I tasted for this article are 2011s, which are the product of a very difficult growing season as noted above. The challenges of the year were simply too much for even some of the most famous estates to overcome, which is why readers will note the absence of a number of well-known names in this article. Based on what I have tasted so far, vintage 2012 is much more solid. It, too is a warm year with very little rain that will likely turn out better for reds than whites. The wines in this article were mostly tasted in June and August of this year, with additional follow-up tastings in November and December. The published reviews represent 56% of all wines tasted. For more on Friuli, readers might enjoy this recent comprehensive retrospective at Borgo del Tiglio, plus articles from our Archive featuring verticals of Miani’s Calvari and Merlots Buri and Filip. 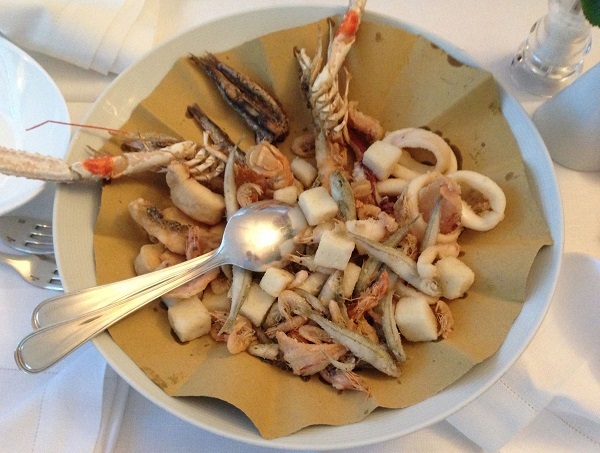 For more reviews and Vinous Table articles featuring the best in Friulian cuisine, readers may want to explore the thirty articles currently in our Article Archive.